Khem strives to give each athlete the individualized attention they deserve with custom training plans based on specific goals regardless of ability and experience level. All she asks in return from her athletes are the willingness to learn, consistency, hard work, and dedication. Khem was a late bloomer athlete that truly believes you are never too old or too busy to start and accomplish your endurance sports goals. She loves working with athletes that are hungry to learn and thrive with her cooperative coaching philosophy, and enjoy receiving tough love when needed. An athlete herself, Khem has finished 4 IRONMAN races (Canada, Lake Tahoe, Arizona, and Kona), 7 marathons, and countless triathlons and running races. She has dabbled in SwimRun and various cycling races (criterium, time trial, road, and cyclocross) and hopes to add more to her resume. 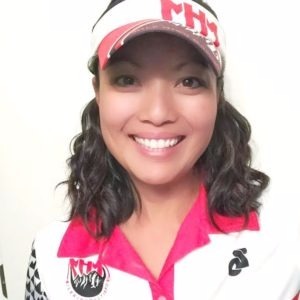 Outside of racing she is an avid skier who loves a powder day and has supported ultra distance athletes at the Badwater Salton Sea and Badwater 135 Ultramarathons and Ultra 520K Canada Ultratriathlon. Khem has successfully coached athletes new to endurance sports, all the way up to marathon and IRONMAN finishers. Her extensive experience in racing various distances gives her a wide range of knowledge to share. Although not a requirement, she enjoys coaching athletes who thrive on analyzing training data (power and heart rate). She is a USAT Level 1 and USATF Level 1 Certified Coach, Level 2 TrainingPeaks Coach, Slowtwitch Certified Triathlon Swim & Cycling Coach, Team in Training Marathon and Triathlon Coach, Lifeguard, and has Bachelor's in Microbiology...in other words, she can nerd out on the physiology and biochemistry aspects of endurance sports. I enjoy working with athletes who are willing to commit the time needed to meet their goals and still want to have fun. Success. Coach Khem Suthiwan has been notified of your message. To hire Khem Suthiwan as your coach, select the coaching service that is right for you.